Fine jewelry, and in particular unique one of a kind pieces which come with a fascinating bit of history are absolutely wonderful conversation starters. 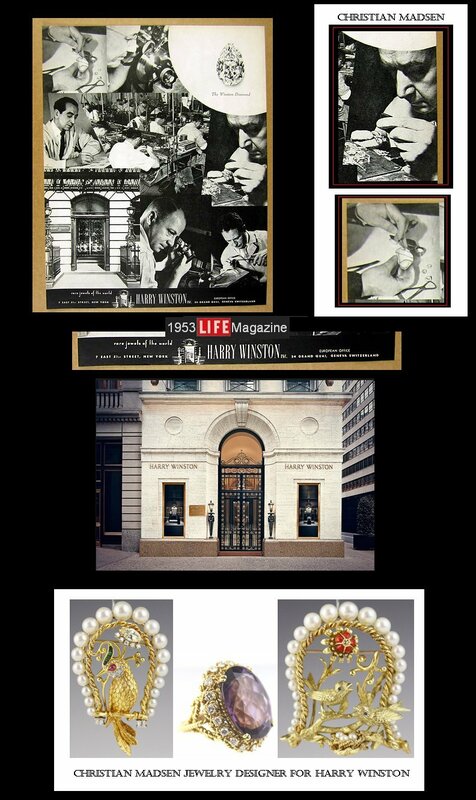 One of Harry Winston's top jewelry designers was Christian Madsen, born in Denmark in 1896. He immigrated to America in 1927 at the age of 31 and worked for Harry Winston from the 1930's all the way through the 1960's. Madsen represented a prized employee for Harry Winston (Madsen was prominantly featured in a Harry Winstone Life magazine ad from 1953) and throughout the worst of the depression years (1929 - 1939 when unemployment was at 18.26%) he was paid accordingly. 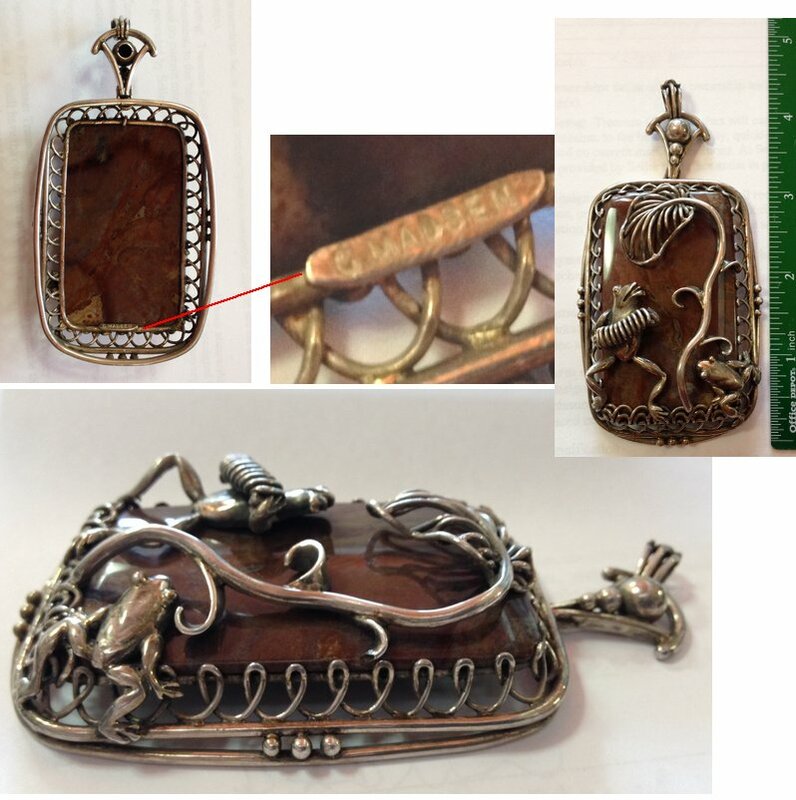 This marvelous signed Sterling and polished Agate figural pendant from the Madsen estate measures 4.5" x 2 .25" and weighs 70.1 grams. The antique sterling chain is 26" in length. A wardrobe with a selection of colors from earth, sea and sky will give the fortunate owner of this fantastic piece many opportunities to wear and enjoy it. 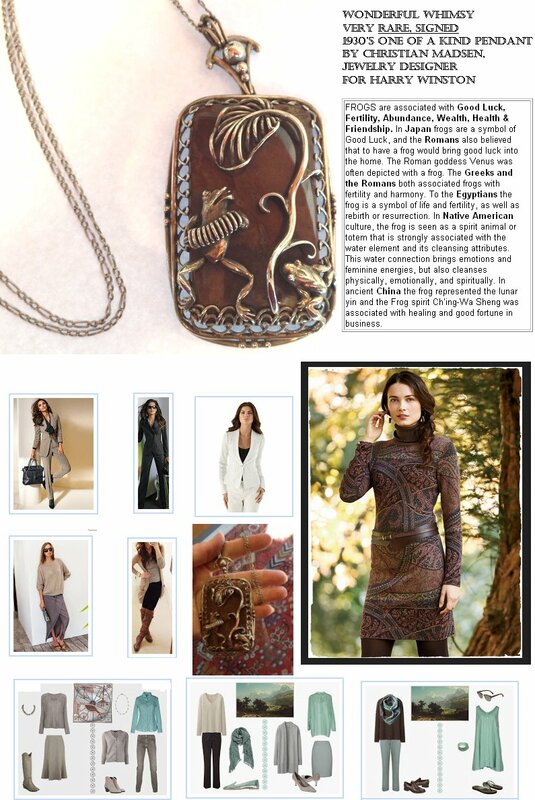 SOLD - TreasureCoastJewelers.com specializes in INTERESTING pieces of jewelry.